The early loss of a parent is a tragedy and a serious life event. 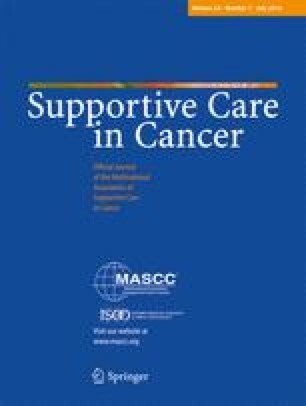 This study investigated grief resolution and morbidity in cancer-bereaved teenagers 6 to 9 years after the loss of a parent to cancer. Six to nine years post-loss 49 % reported unresolved grief (8 % no and 41 % a little grief resolution). They had, in comparison with youths reporting resolved grief, statistically significantly elevated risks, e.g. for insomnia (sons’ relative risk (RR) 2.3, 95 % CI 1.3–4.0; daughters’ RR 1.7, 95 % CI 1.1–2.7), fatigue (sons’ RR 1.8, 95 % CI 1.3–2.5; daughters’ RR 1.4, 95 % CI 1.1–1.7) and moderate to severe depression, i.e. score >9, PHQ-9 (sons’ RR 3.6, 95 % CI 1.4–8.8; daughters’ RR 1.8, 95 % CI 1.1–3.1). Associations remained for insomnia in sons, exhaustion in daughters and fatigue in both sons and daughters when depression, negative intrusive thoughts and avoiding reminders of the parents’ disease or death were included in a model. Approximately half of cancer-bereaved youth report no or little grief resolution 6 to 9 years post-loss, which is associated with fatigue, sleeping problems and depressive symptoms. We thank Else Lundin and Susanne Castells for the assistance with data collection, Lawrence Lundgren for the language review and all cancer-bereaved youth for sharing their experiences with us. All procedures performed in studies involving human participants were in accordance with the ethical standards of the institutional and national research committee and with the 1964 Helsinki Declaration and its later amendments or comparable ethical standards. For this type of study formal consent is not required. Ethical approval was obtained from the Regional Ethics Review Board, Karolinska Institute and all participants provided informed consent. This work was supported by the Swedish Research Council (grant number 2008–4428) and the Gålö Foundation. All authors have nothing to declare. All authors have full control over primary data.